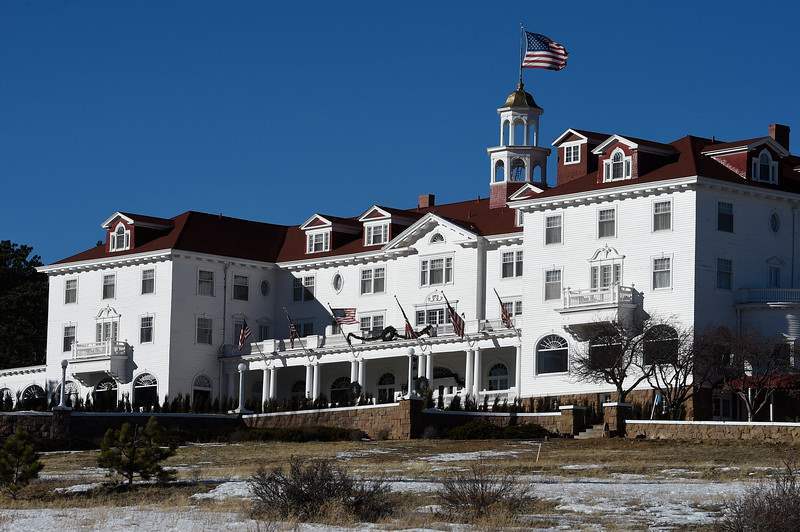 Home » Tourist Captures Ghost at “The Shining” Hotel! 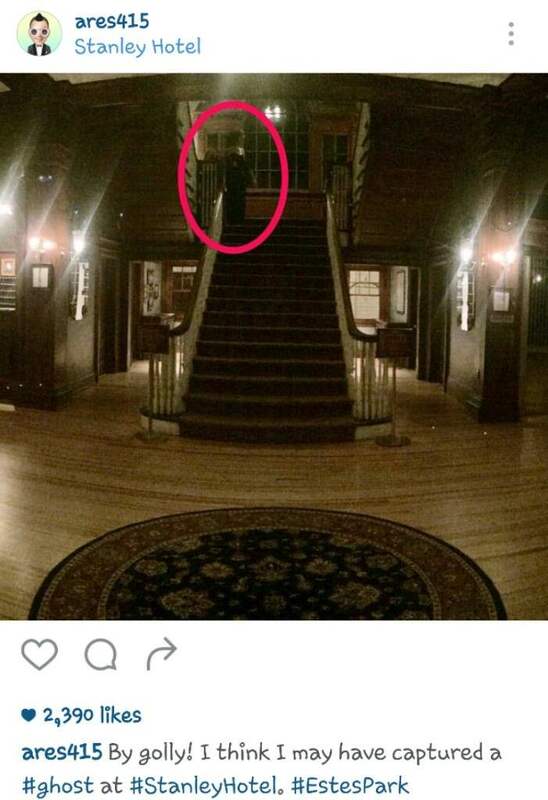 Tourist Captures Ghost at “The Shining” Hotel! Earlier this week, Houston native, Henry Yau took some photo’s at the Stanley Hotel in Estes Park, Colorado. The Stanley Hotel, as you probably know, is the inspiration for Stephen King’s The Shining. Yau, the director of public relations and promotions for the Children’s Museum of Houston, told Click2Houston that he purposely waited for the staircase at the Stanley to be empty so he could get a good shot of it. “When I took it, I didn’t notice anything,” Yau said about the panorama photo of the Stanley Hotel’s famous lobby. The first picture he took shows the stairwell with loads of lights on, while the second is darker and a quite a bit more mysterious. 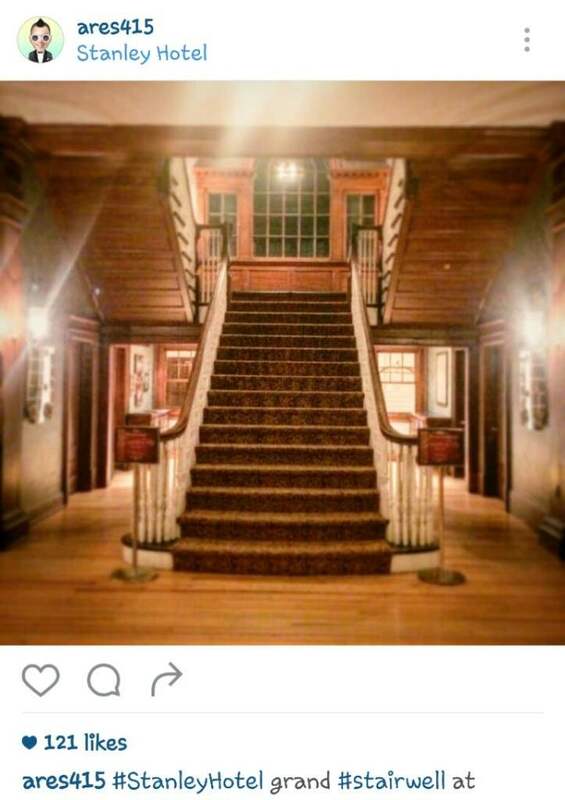 “By golly, I think I may have captured a #ghost at #StanleyHotel. #EstesPark.” Yau wrote in the second picture’s caption. Author Stephen King said he was inspired to write The Shining after he and his wife spent a night at the Stanley Hotel in September of 1974. Parts of the television mini-series version of The Shining were actually filmed at The Stanley Hotel, while Stanley Kubrick’s cinematic adaptation of The Shining was shot almost entirely in a studio at Elstree Studios in Hertfordshire, England. The exterior shots of The Overlook Hotel being from The Timberline Lodge near Portland. You can read more about The Shining‘s inspiration by clicking here.